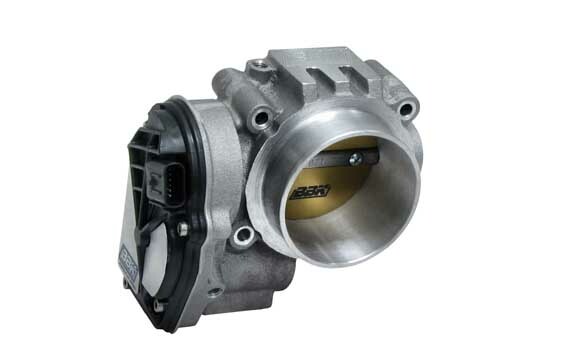 Brothers Performance is pumped to announce the all-new BBK Power Plus series throttle body for the 2011 Ford Mustang and the 2012 Ford Mustang. This piece is a definite way to bolster performance for the late-model 3.7L V6-powered Mustang in under 20 minutes with the use of mere hand tools. Don’t worry about having to scrounge up supplemental fitment & parts, either–BBK ensures these throttle bodies match up plug-and-play style for an easy installation. Also, there are no TPS voltage settings to tweak, which means this piece is simply installed and you can hit the street and/or strip right afterward because there is absolutely no tuning required! Brothers Performance also carries the 2011 Ford Mustang and 2012 Ford Mustang GT and 2012 Boss 302 version of this same throttle body, keeping the new Coyote crowd appeased with miles of smiles. Be sure to check out the V6 dyno sheet and the short video clip after the hop!